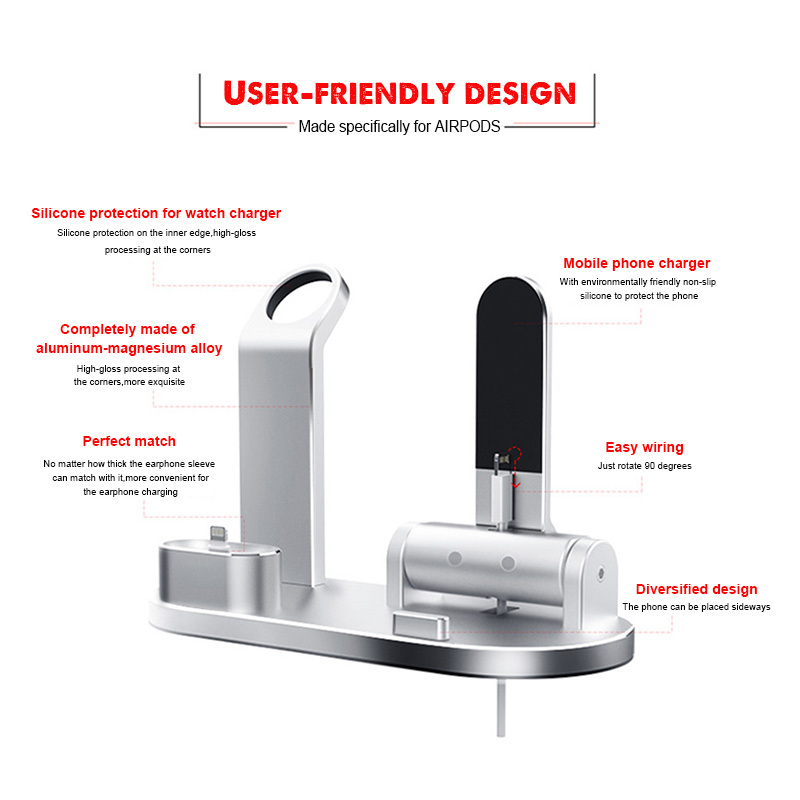 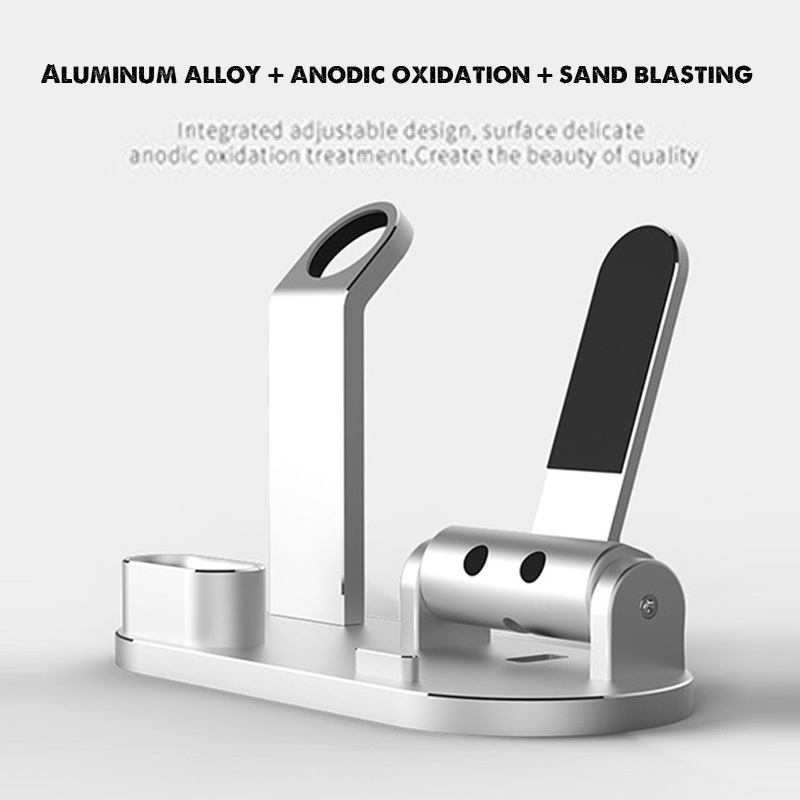 Made of aluminum alloy, the durable charging stand can quickly and safely charge your device. 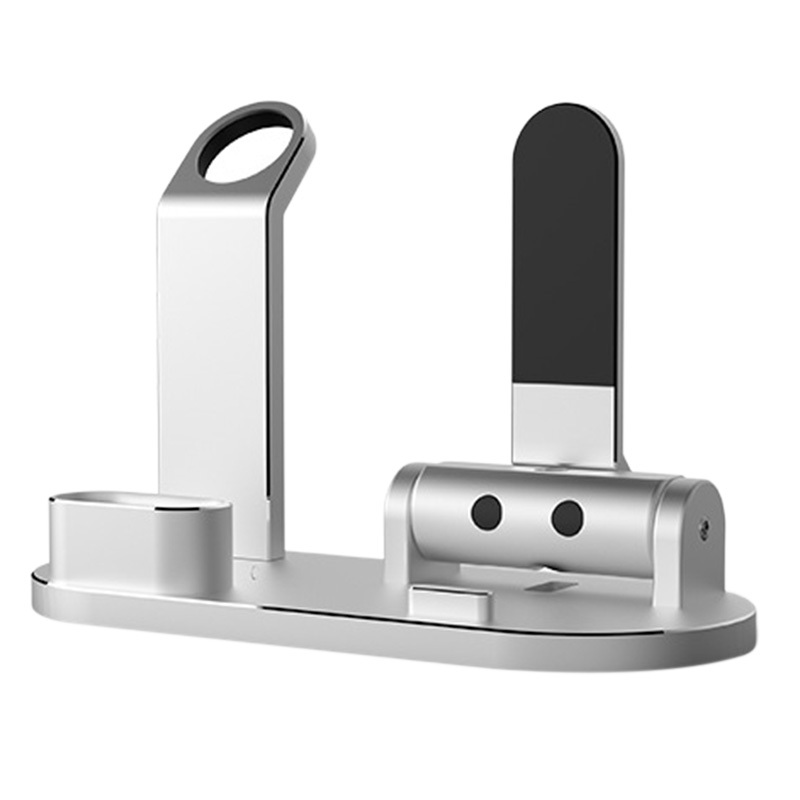 The silicone pad on the bottom of the multi-functional stand can be non-slip or scratch-resistant. 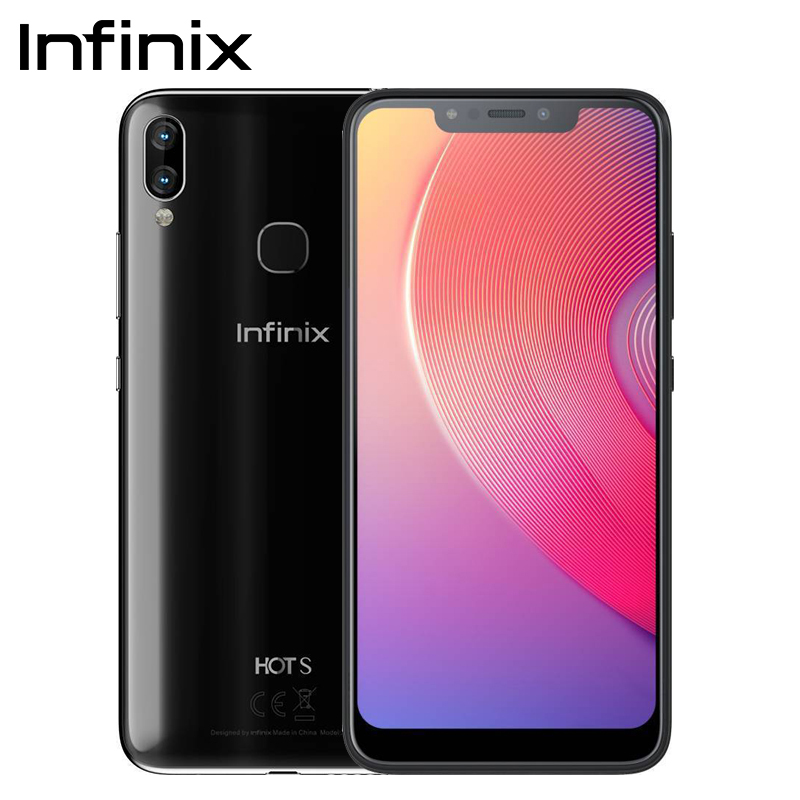 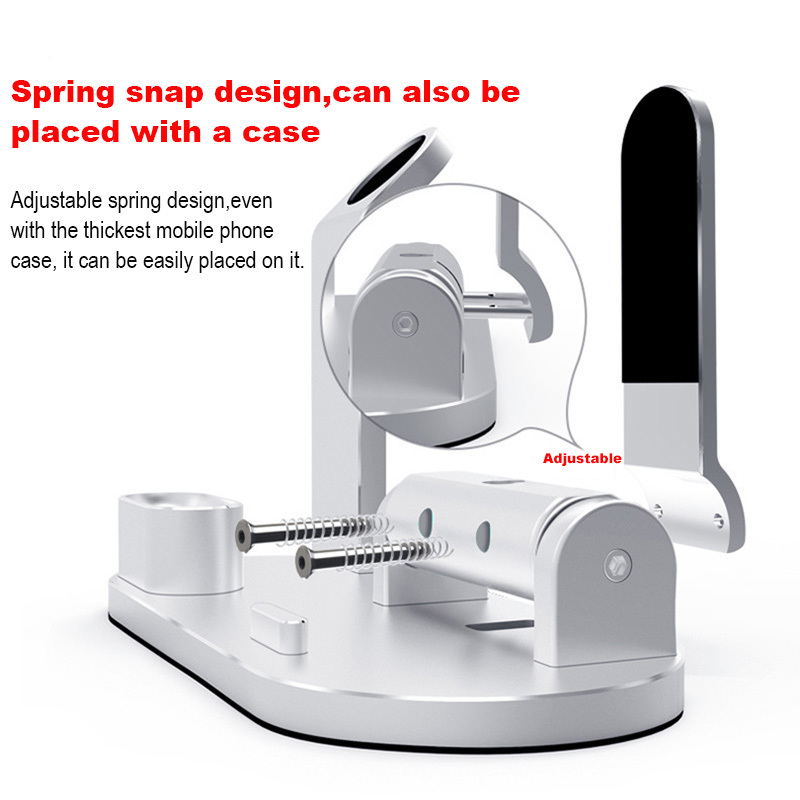 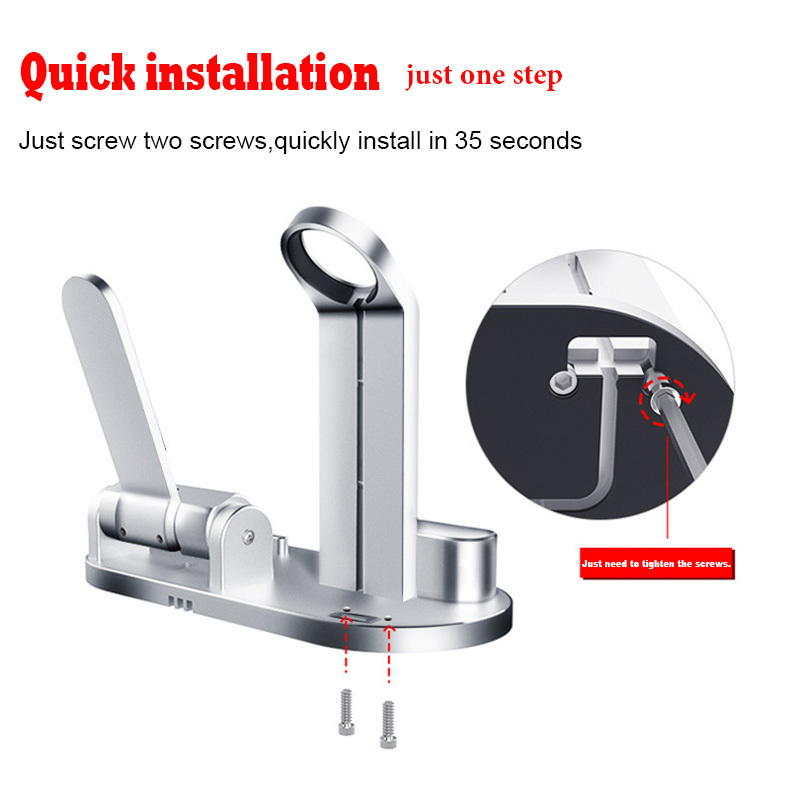 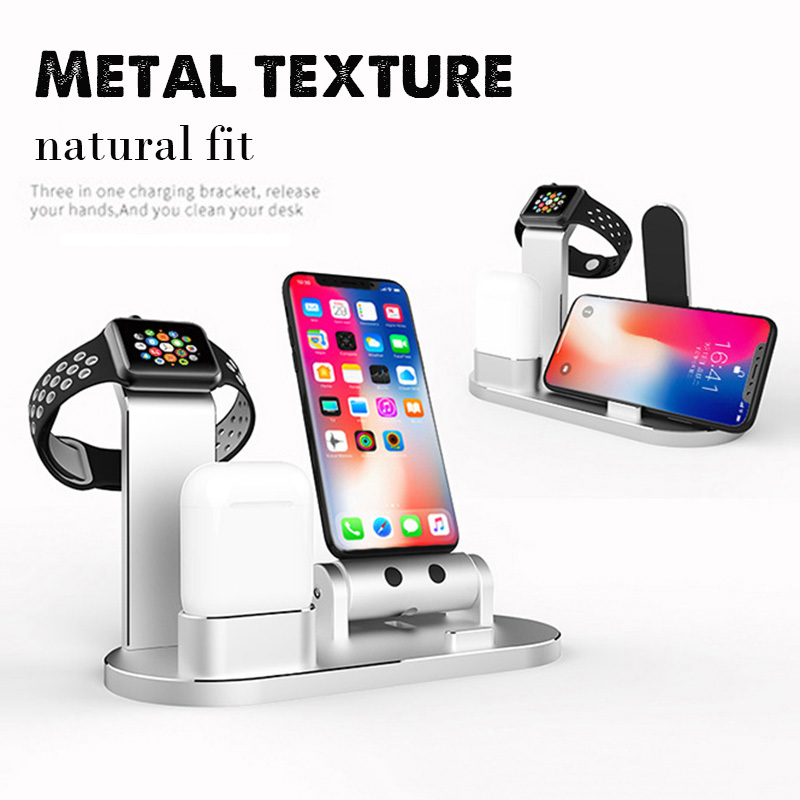 The integrated adjustable design, the surface of the delicate anodizing treatment, can be adjusted at any angle, easy to browse information, can also be used as a mobile phone bracket, charging support is correct. 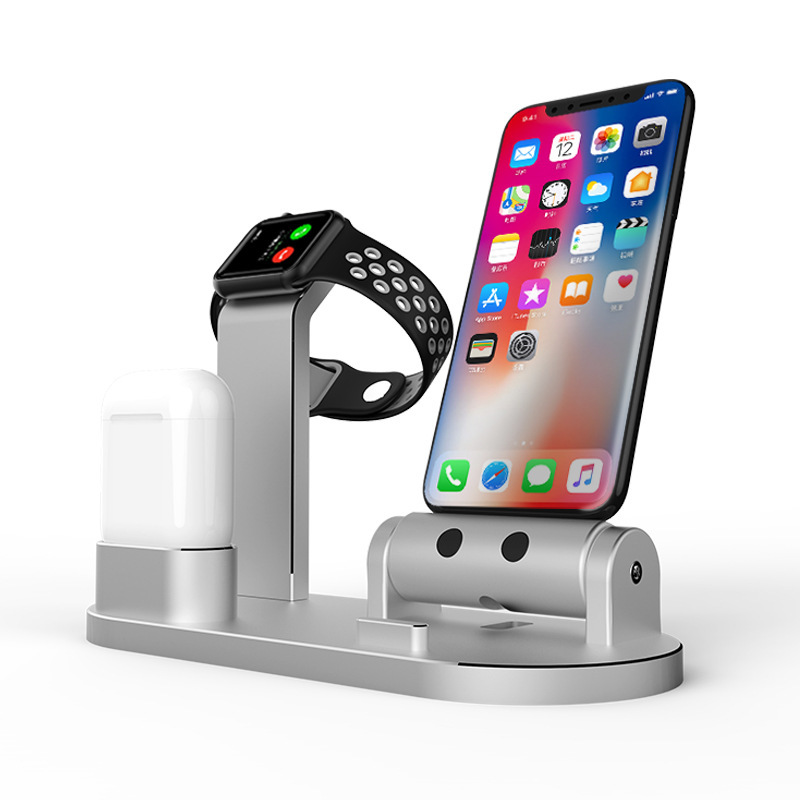 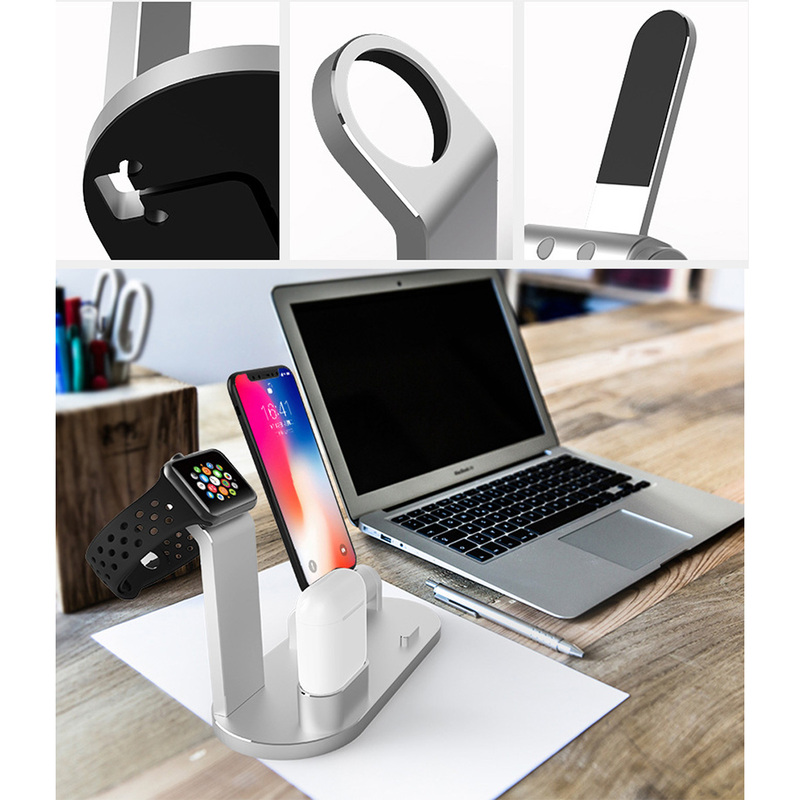 The three-in-one charging stand, releasing your hands and multi-functional brackets also gives you a neat desktop, giving you a different experience. 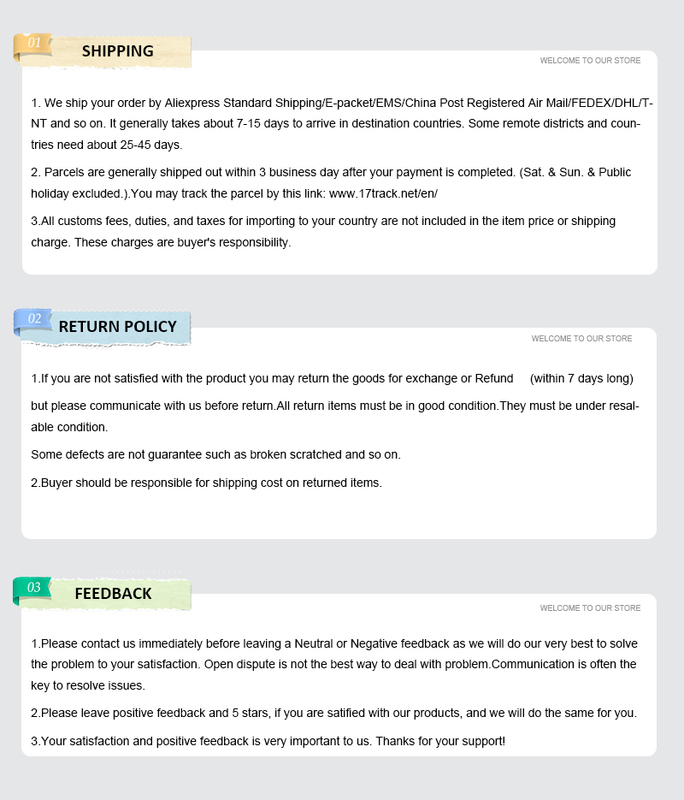 iP ad are registered trademarks of A pple, Inc. Products are A pple compatible and not endorsed by A pple, Inc.